Whether the perfect addition is an enclosed garage or a separate space for your collector cars, our garages are available to suit your needs. 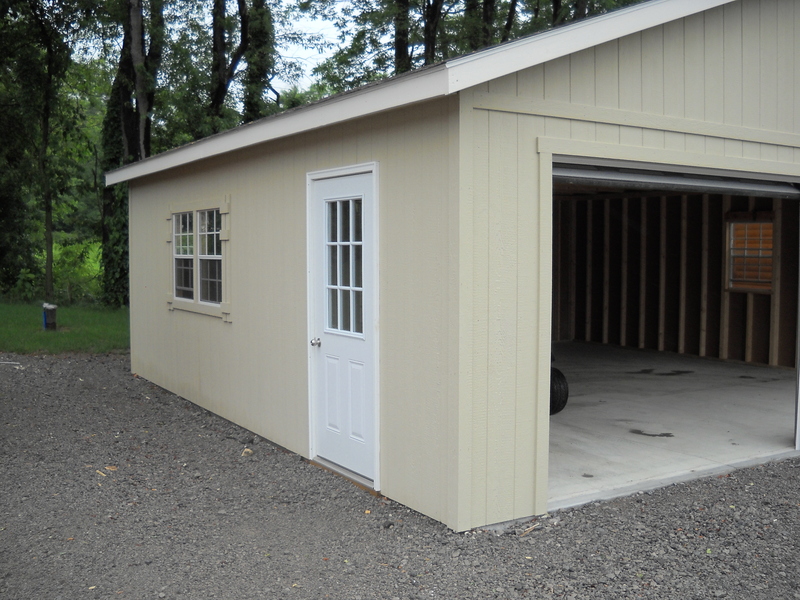 In fact, most of our garages are custom-made. 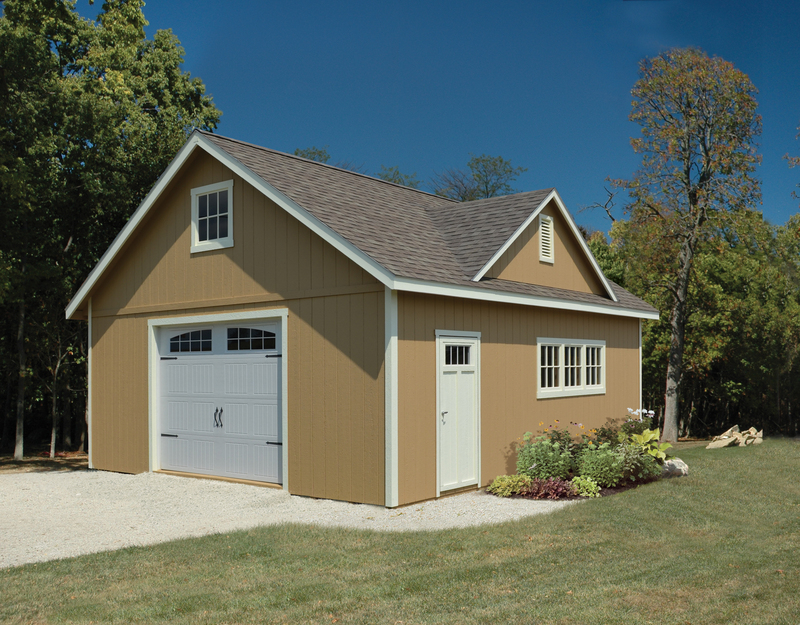 This makes ordering a garage in the perfect style and size both possible and easy. 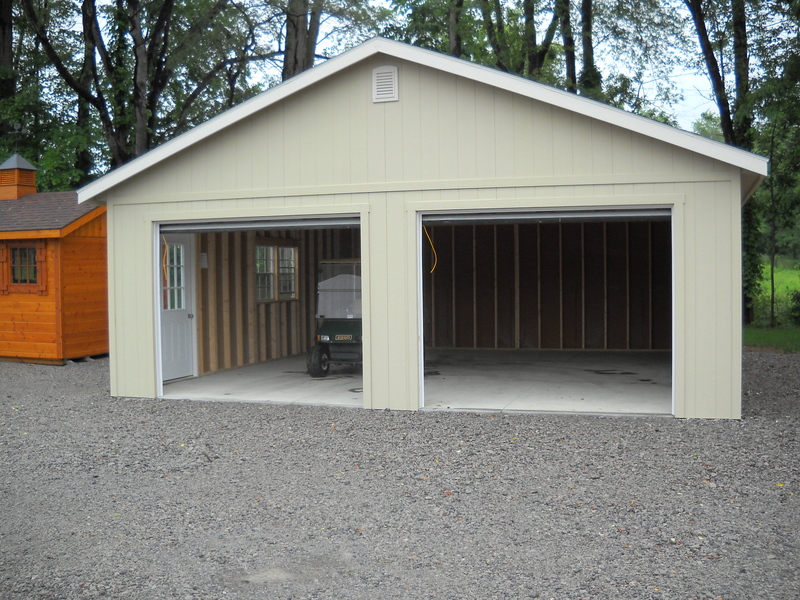 Our custom garages feature 8' side walls with Insulated garage doors of your choice. Different sidings and designs to choose from. They are built on your prepared Stone, block or concrete foundation. 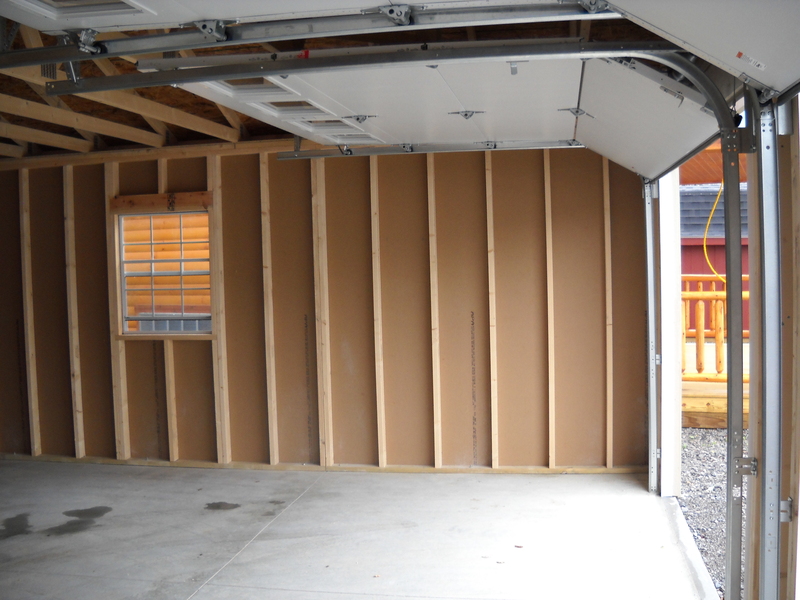 Our custom garages feature 8′ walls and framed openings for your garage door(s). They are built on your prepared Stone, block or concrete foundation. 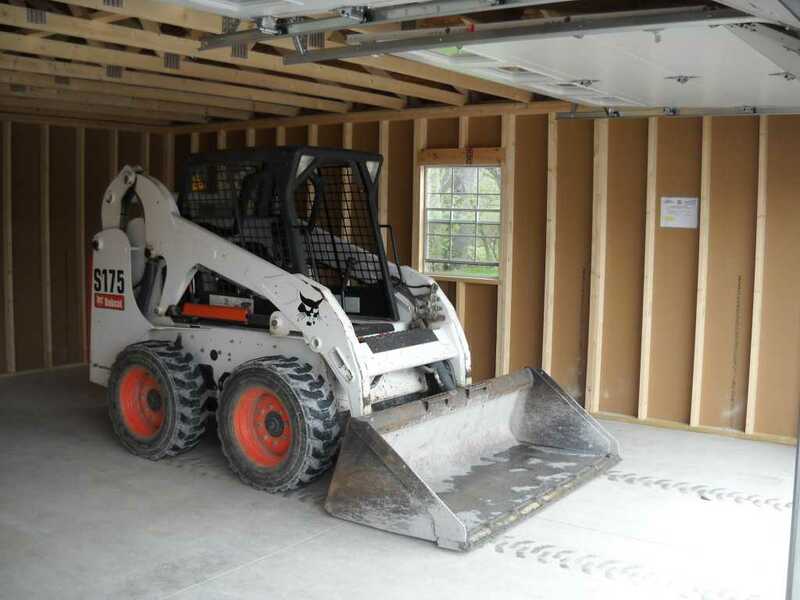 (Note) skid steer not included. 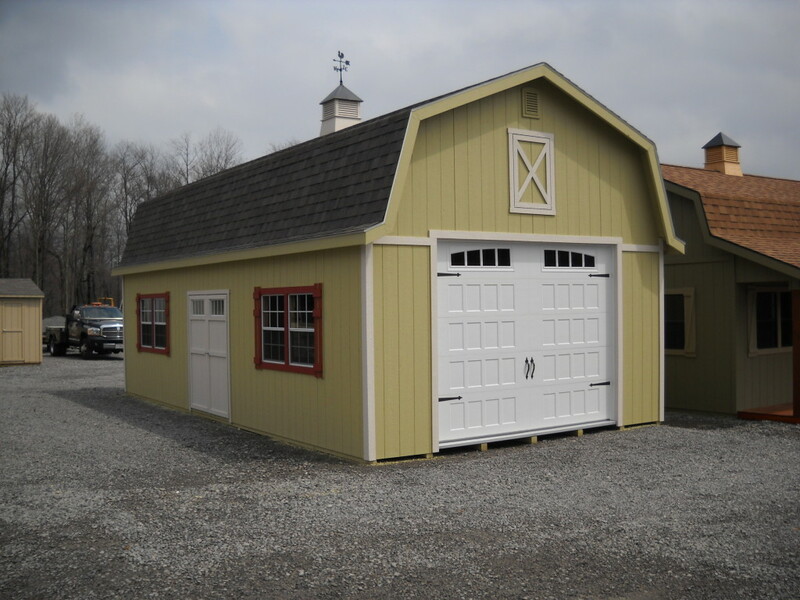 Attractive Amish Built 16' x 32' garage ready to be delivered to your new garage site. 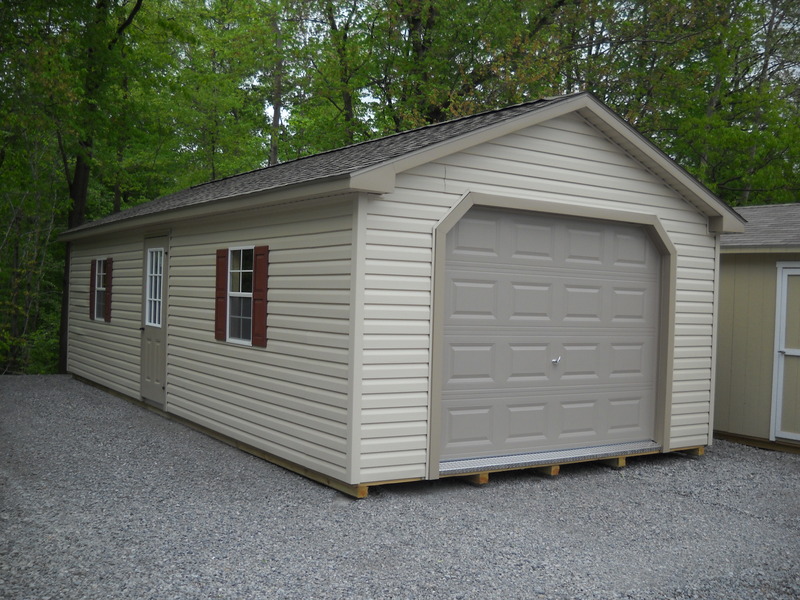 Sided with Smart siding and roofed with lifetime architectural shingles, and floored with 2×8″ pressure treated Plank floor , this will be a serviceable shelter for your vehicle for many years. The 16' width makes it easy to get in and out of your vehicle. The 54' double doors on the side makes it easy to get your mower or snow blower out without moving your vehicle. 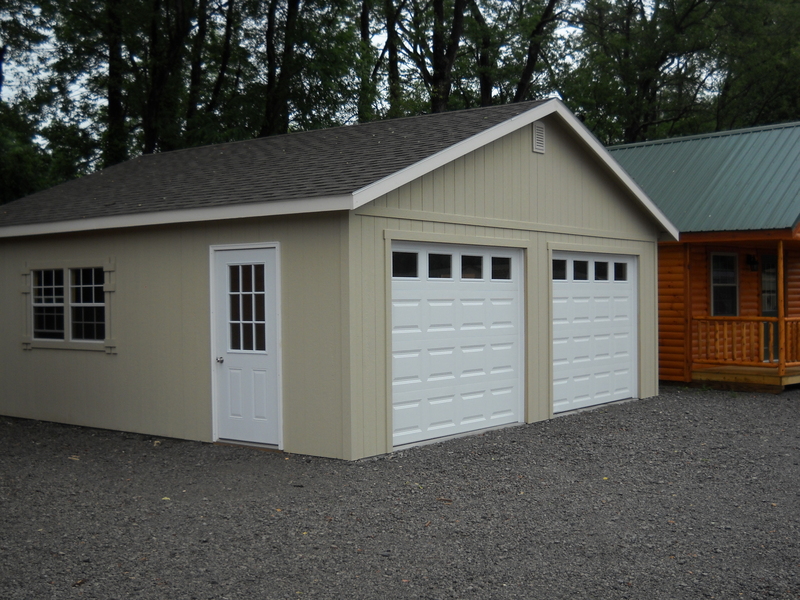 Come visit our site and see this garage as well as the many shapes and sizes of other buildings we have available. Don't see what you want? 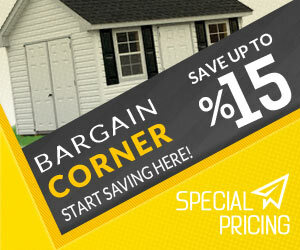 We can special order to your specifications and have your building in just a few weeks. 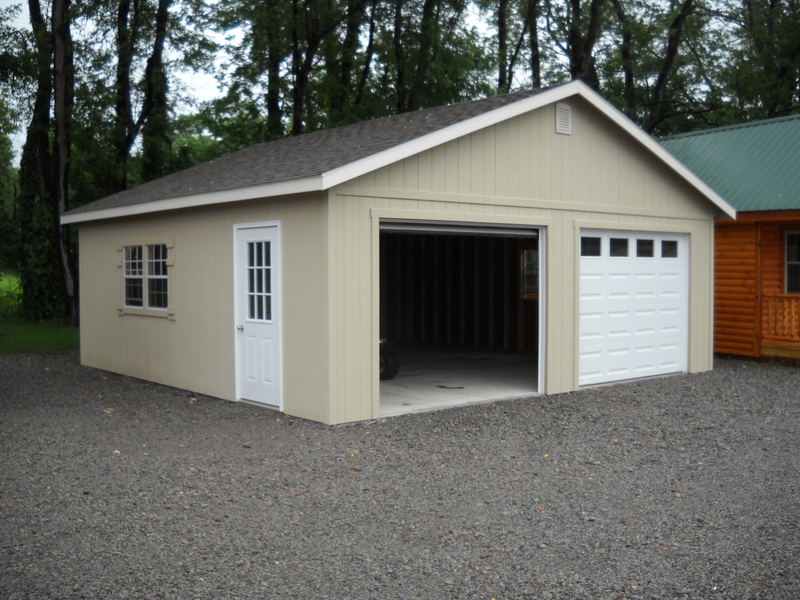 Built on Site Garages are Fully customizable. 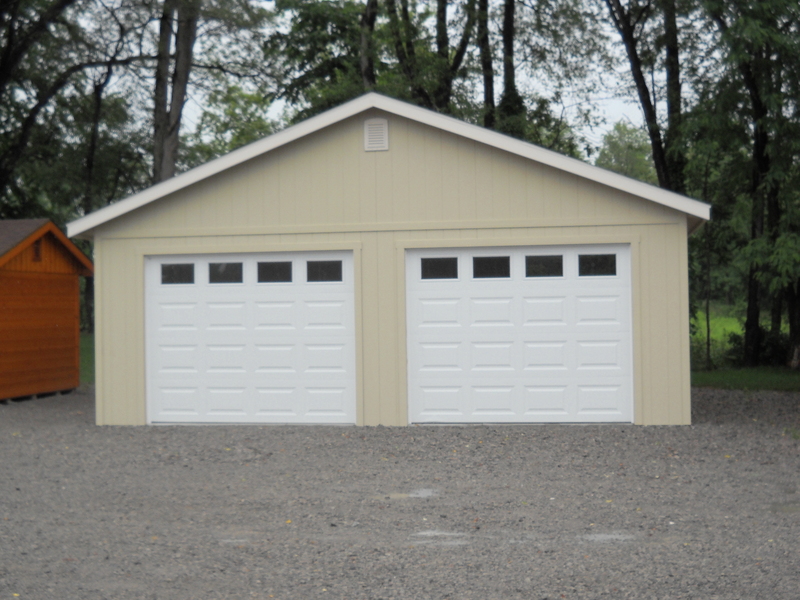 Design your garage to fit your exact needs, from 2 car- 8 cars we can build what you need. Add windows, custom garage doors, dormers, overhangs, and more.